So, I met with my doctor today. Had a super great session. And my homework is to learn to cook. (deep breath) Cook? I’ve never cooked real food in my life. I order pizza, warm up pizza, occasionally make a peanut butter & jelly sandwich. But I don’t cook. I am intrigued and terrified by the idea. 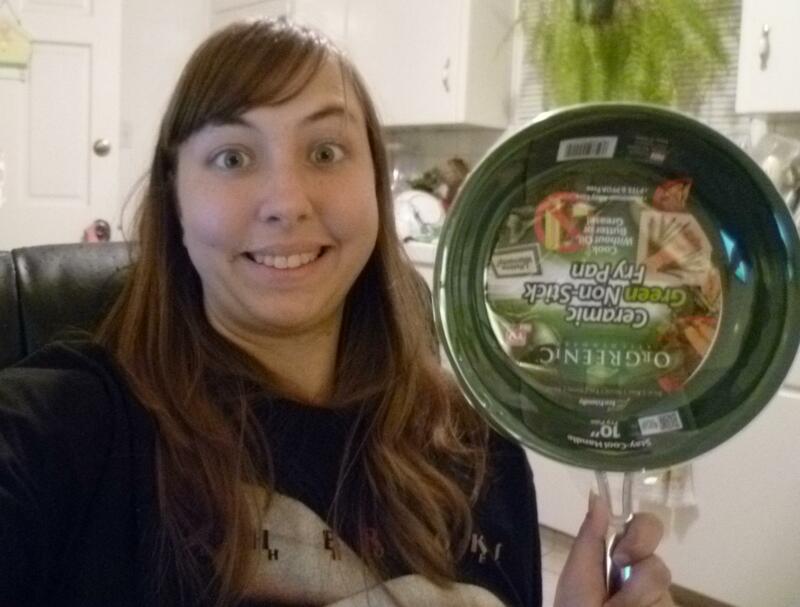 I bought myself a skillet today at Walmart. Not sure what to do with it. But I wanna give it a go. This thing called cooking. So this is a shoutout for cheap easy recipes. He said anything frozen doesn’t count as cooking. Damn. Anyway, I’d appreciate some recipes people really like that maybe a seven year old without supervision (aka ME) could try. Thanks in advance! This entry was posted in Journal and tagged cooking, hope, need advice, recipes, taking chances, taking risks, trying new things by writingtowardshappy. Bookmark the permalink. We use a Ogreenic pan at Eat at E’s. From our experience the bottom of the pan scratches up easily but the inside is made of good materials. Good and affordable choice for a pan in order to eat healthy. As for recipes, there are some great ones all over, there are some on our blog and also people that commented on ours posts have some amazing ones to! I’ve let my favorite foods motivate me to cook. For example, I love parma rosa from Noodles and Company so I figured out how to make it at home. Maybe you can make pizza. Fresh and Easy sells pre-made dough and you can buy all the ingredients you like and actually cook it.